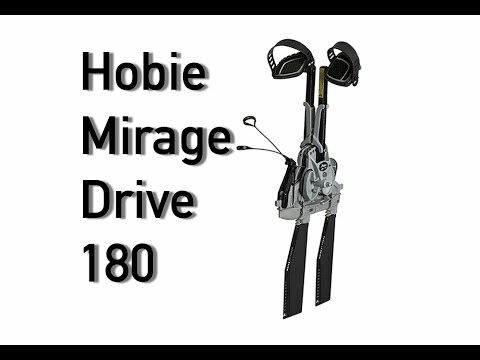 The Hobie Mirage Revolution 16 boasts a long, lean undercarriage that's low on drag and big on speed, allowing you to glide along at speeds that are typically reserved for far more fragile kayaks. But instead of requiring constant doting, the Revo 16's rugged, rotomolded polyethylene hull stands ready to brave any beach. Consider the Revo 16's range and speed - coupled with creature comforts such as ergonomic carrying handles and its comfortable, Vantage CT seat - and the advantages are obvious. With a 16' hull design for touring at speed plus MirageDrive power, covering distance with ease is the Revo 16's game. Purchased three weeks ago and my wife and I both love the Revo 16. As longtime sit inside kayak paddlers, we weren't sure about the sit on top stability, but it is not an issue...very stable in wind and waves. Pedaling seems to be less taxing than paddling and an easy cadence can be maintained for miles. I have been fishing a few times and the hands free manuevering is sweet...pretty sure I'll need some fishing accessories soon. We got the turbo fins and sailing rudder based on reading the forums and they are worth the money. 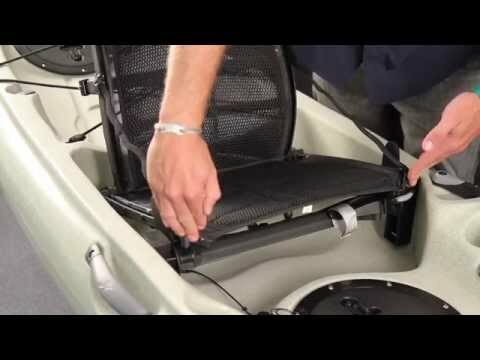 We pedaled the Revo with the standard fins and rudder before switching out and there is a noticeable difference. Might have to get another Revo 16 soon to keep peace in the family as we both want use it when we go out. Purchased my Revolution 16 about three months ago. I've been using it to cruise local bayous and basically get some exercise. I couldn't be happier with it. The boat is stable and tracks great. After spending some time in the forums, I optioned the Mirage Performance Package on it and I think that's well worth the money. Even though it is long in the waterline, it still maneuvers quite nicely although I'm sure it's not as nimble as the shorter versions, it's still better than I expected it to be. The new seat design is the cat's meow. 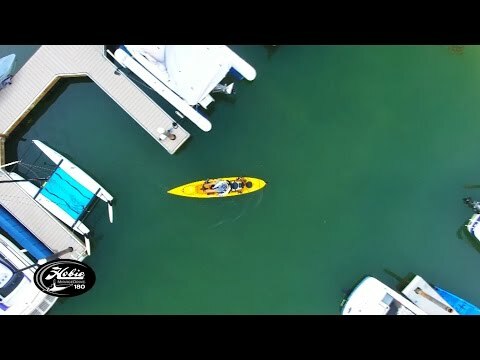 I had rented a mirage drive Hobie a little over a year ago and the old seat was terrible, for me anyway. This new seat design is so much better. Two to three hours is no problem at all as far as my back side is concerned, and it's drier to boot since I'm not sitting all the way down on the hull. So far, I've not gotten enough water in the seating area to even worry about the new drain system that's there so a wet derriere hasn't been an issue anyway. All I have to work on now is my stamina. Q: I weigh 250lbs will this work for me? A: The weight limit is 350 lbs so you should be good depending on how much gear you plan on bringing with you.